No. Get a used 6910. Check it steams properly and makes a good brew. Or stretch to a bes920 or bes900. Yeah the Duo Temp is probably a bit basic. For new appliance machines I’d be looking at the BES840 as a minimum standard from Breville. Sunbeam options are the new Mini Barista or an EM6910. 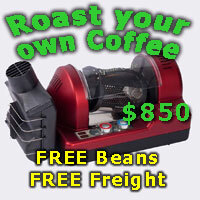 You can occasionally get the 6910 on sale for about $400 or $550ish in a package with a grinder. If that’s more than you can afford and $300 is the limit then yes you will need to look at something second hand. Options would include the above mentioned 6910 or a Breville Dual Boiler. Otherwise Gaggia Classic or maybe a Silvia V3 if you’re lucky.